As a teenager, Yvonne Garcia wanted to be trilingual. “That’s why I took languages at the University at Albany,” says the senior vice president and global head of Client Solutions, Investment Manager Services Group at State Street Corporation in Boston. Garcia’s facility with languages, and her experience living with people of other backgrounds, expanded her post-graduate options. She earned an M.B.A. in finance and marketing at Boston University. Later, Garcia was Liberty Mutual’s Agency Corporation director of Marketing and Distribution Strategy, then vice president of Bank of America’s China Construction Bank Strategic Assistance. In the latter capacity, her work took her to China, Hong Kong, London, and Paris. A Six Sigma Black Belt – a certification awarded by ASQ to people committed to corporate, organizational, and community quality – Garcia is also a busy volunteer. She serves as national chairwoman of ALPFA (the Association of Latino Professionals for America), an organization she joined around 2001. “We work with Latino professionals and students, helping guide them through their academic and professional journey. We also partner with Fortune 1000 companies, helping them to acquire and retain diverse talent and to develop that talent professionally,” explains Garcia, adding that ALPFA has 83,000 members, 41 professional chapters, and 155 student chapters in the United States. Garcia also volunteers with a number of other organizations, including Milagros para Niños (Miracles for Children), a group she co-founded at Boston Children’s Hospital in 2009 to raise funds to support the medical needs of underserved Latino children. 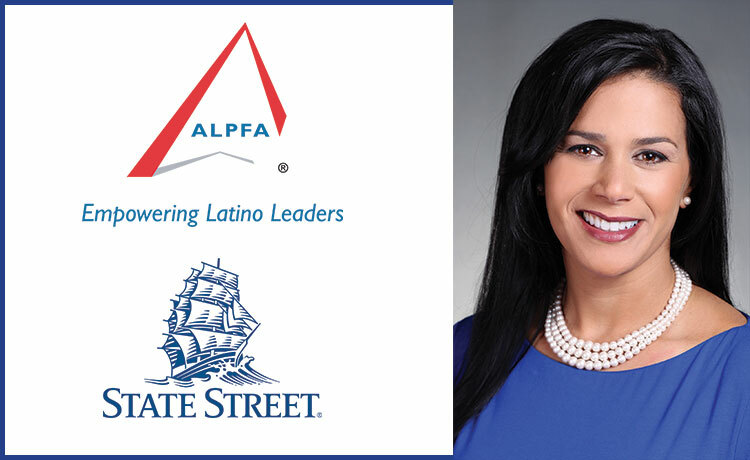 ALPFA and The Children’s Trust, a non-profit formed to end child abuse in Massachusetts, have honored Garcia for her commitment to children, the Latino community, and women. In 2015, she received the Women of Influence Award from the Boston Business Journal. Her high-profile work with ALPFA and State Street Corporation casts Garcia as a role model. At the University at Albany, she looked up to Johnny Webster, then a faculty member in the former Department of Hispanic and Italian Studies. “He was my Spanish professor, and he also mentored me. He guided me through the M.B.A. application process,” Garcia recalls. Garcia is the mom of a 16-year-old daughter, Izzy, “who’s looking at colleges now,” and a 10-year-old son, Max. “He’s my baby,” she says.